This month was bittersweet; it ended with the loss of our dear mother, Johanna Beeke, at the ripe age of 92, after a lengthy illness and many tearful goodbyes. As a family, we experienced in the loss of our dear mother that “man goeth to his long home, and the mourners go about the streets” (Eccl. 12:5). A huge empty place has been left behind in our family. Our mother died in faith, with dignity, in Christ. We lost a praying mother, but we have not lost her prayers. Matthew Henry said of parents that they could far better leave behind for their children a treasury of prayers than a treasury of gold and silver. We have been blessed in this way as children more than almost anyone else we know on this earth. What a treasury is laid up in store for us in the prayers of our dear mother and father! And what responsibility is now ours! The legacy, the heritage, the mantle is now passed on to us. The testimonies of many who came to the visiting hours the evening of July 27 and the following day about my mother were humbling, encouraging, and sometimes tear-producing all at once. On Saturday, I conducted the funeral for my dear mother, preaching on John 14:1–3, the first text that the Lord made very special to her after he had begun to work savingly in her soul. It was difficult at the beginning to contain my emotions, but as the text unfolded before me, the Lord gave an increasing measure of liberty. How bittersweet that hour was! Before the funeral, my brother Jim spoke to the family. My mother, who had been an only child, had five children, thirty-five grandchildren, ninety-two great-grandchildren, and one great-great-grandchild—133 in all! Though a number of the great-grandchildren were not able to be present, the family gathering was still sizable. I spoke at the graveside from Revelation 21:5, followed by my oldest brother John, who also thanked various people, and closed with prayer, after which we sang Psalter 203 (Ps. 73), and then fellowshipped at the NRC Christian School in Kalamazoo. Throughout the month of July—perhaps the busiest month of my life—I have felt the sustaining hand of God in an unusual way. 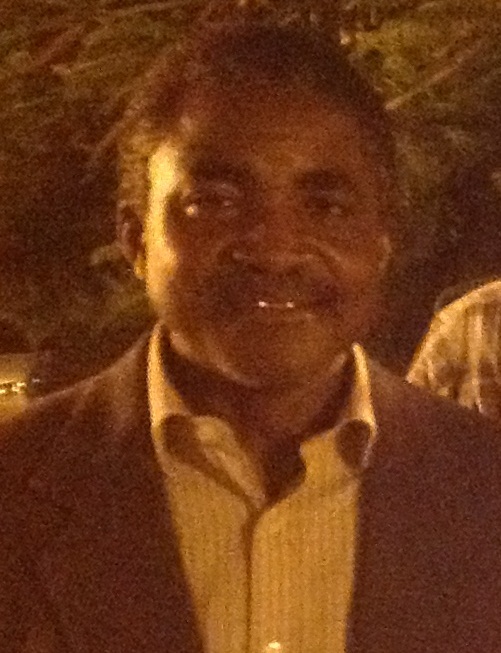 He enabled me to preach thirty times on three continents, with about 25,000 in attendance in all. To Him be all the praise and the glory! May eternity reveal the fruit. I now look forward to a much more calm and restful August in Grand Rapids, the Lord willing. We’ll miss our dear mother’s sweet smile, her kindness, her godliness. We’ll miss caring for her. Dad used to often say to us, “You will never be able to repay all that your mother has done for you.” By God’s grace, we count it an honor as a family that we could repay a little, so that through 24/7 care in recent years she could stay in her own home until the end, which was always her desire. But now, how shall we begrudge her her place at our dear father’s side singing praise to the Triune God without any infirmity? She is now in the church triumphant forever! Soli Deo Gloria! May God prepare us all to meet Him clothed in the white-robe righteousness of Immanuel. Dear friend, if Christ were to send His angel of death to harvest you today, would it be eternally well with your soul? Are you resting for this life and a better in Christ’s righteousness alone? My dear mother (age 92) passed away Monday morning, leaving a strong and prayerful legacy of Christian consistency for many. She is survived by her 5 children, 35 grandchildren, and approximately 90 great-grandchildren, and 1 great-great grandchild. We will miss her greatly but are happy to see her leave her suffering to glorify God eternally at His throne. God willing, I will be writing more about her life in an upcoming blog. 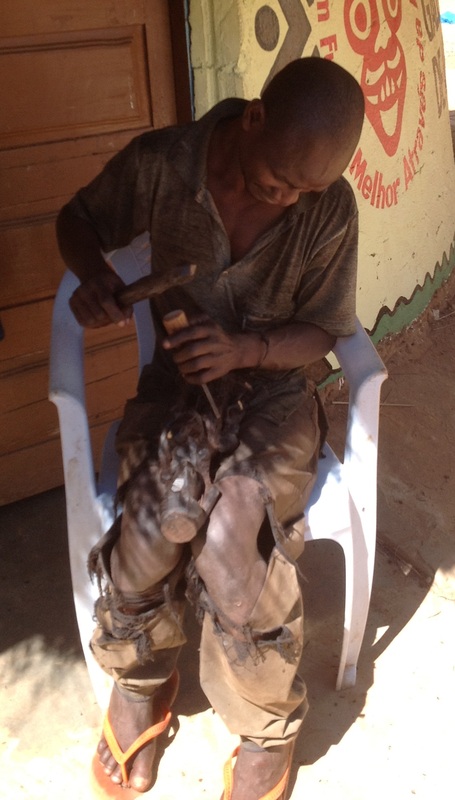 In my last post I mentioned that Christians in Mozambique were persecuted severely for many years. Here is the sad story in a nutshell, as told primarily by Peter Hammond, whose evangelistic travels to Mozambique, led him to establish the Mission of Frontline Fellowship. 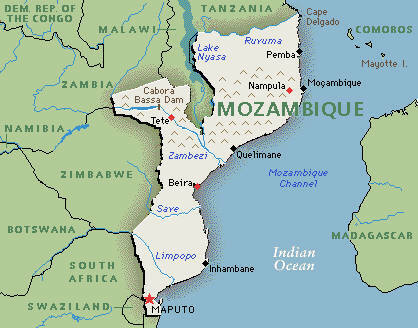 In 1975, Mozambique, which had been an overseas province of Portugal for 470 years, was abandoned by the Portuguese. Marxist revolutionaries, known as FRELIMO, then took control of the country, without providing a referendum or an opportunity for elections. Their leader, Samora Machel, imposed a harsh Marxist dictatorship of the proletariat upon Mozambique. Nearly everything was nationalized, including educational institutions, hospitals, businesses, industries, agriculture, and commerce. Property was confiscated. Tourism was basically shut down. Skilled Portuguese settlers fled the country, including 80 per cent of the physicians within one year. Samora Machel and his Marxist protégés declared war on the church. Thousands of churches in Mozambique were confiscated, closed, or burned down. Missionaries were expelled or imprisoned. Evangelism was forbidden Bibles were burned. Thousands of Christians, including many pastors, were shipped to concentrations camps, never to be seen again. 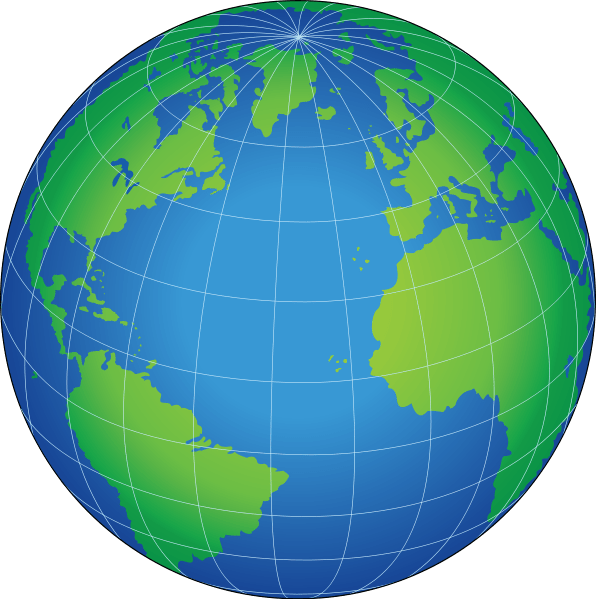 By the 1980s, Operation World reported that the then war-torn, Marxist state of Mozambique was the least evangelized country in the Southern Hemisphere and that there was less than one Bible for every thousand people. By the 1990s, after three decades of civil war, first against the Portuguese, and then against its own people, Mozambique was a shattered nation. It was judged by Operation World to be the world’s poorest country at that time. At the height of the war, in 1992, more than 40 per cent of the population were refugees. Deaths from the civil war and resulting family were estimated at over one million people. Progress is being made, however. Thousands of new churches have opened. Thirty-five years ago, 3 per cent of the population were Evangelicals; today, that number is about 20 per cent. There is rapid church expansion with lots of activity, but with that expansion comes problems, such as limited Bible knowledge and doctrinal understanding, power struggles, and a lack of trained ministers. About 75 per cent of the ministers have little or no formal training. Some have difficulty reading. The self-conscious Reformed movement in Mozambique is still small, but potential for growth is promising. If one considers that these two conferences alone drew close to 500 ministers, there is certainly hope! Then, too, the Dutch Reformed have been active for some time in parts of the country. Signs of hope are springing up. Some good and well educated pastors serve this denomination which is fairly conservative theologically, and several of them attend this Nampula conference regularly. The meetings took place under a large tent, where mosquitoes that produce malaria are not uncommon, so we speakers were advised to take malaria-fighting medication for twenty days—from two days before we came to Mozambique until a week or so after we return home. This is no idle threat as five million cases of malaria are contracted each year in Mozambique, and significant numbers die from it; moreover, visitors are especially prone to be infected, as our bodies have not built up any immunity against it. This does make one feel quite dependent on God, as it is hard not to wonder when a mosquito buzzes around your head: Is this one of the bad ones? You are also advised to give your body a good spray of insect repellant each morning. Jaime Marcelino gave four addresses and I gave five to a group of 300 people, most of whom were pastors. Three of his addresses focused on the struggle for Christian virtues between brothers (Phil. 1:2–11) and one address was on the necessity of experiencing genuine holiness as a preparation for eternity (Phil. 1:9–11). Four of my addresses focused on various aspects of sanctification, and I was also asked to give one historical address on lessons we can learn today from John Calvin’s life. 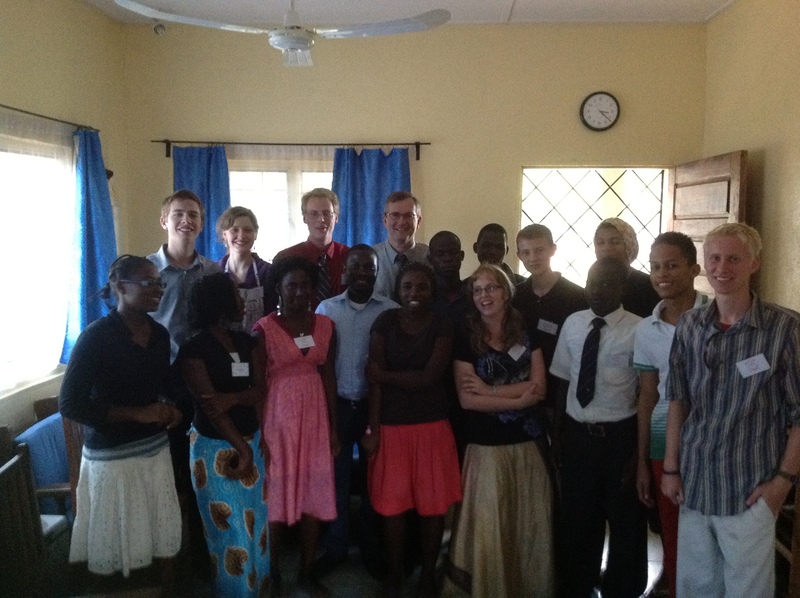 We both felt helped and the men were a joy to preach to and quite responsive. A group of dedicated young people, who sat in the first rows just before the pulpit dressed in beautiful African garb, sang heartily for us periodically throughout the conference. All of these young people listened intensely and were great note-takers. 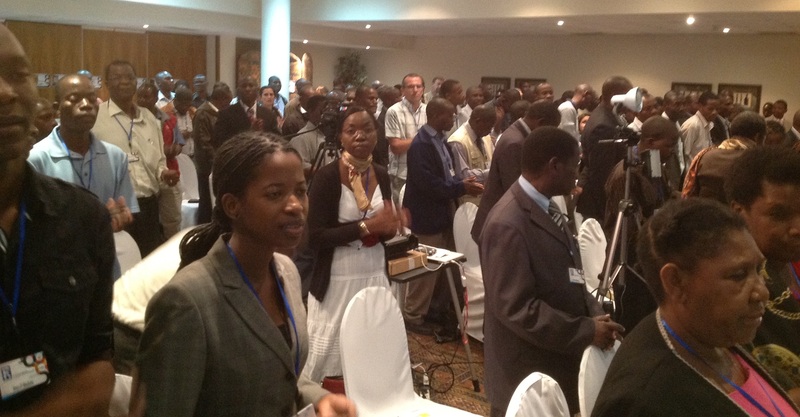 Unlike the conference in Maputo which was a first, this is the 13th year for this conference. The Protestant and evangelical church in Mozambique is still quite young in many parts, especially in the north part of the country where this conference is being held. In many places the church is only in its second generation. This is due in part to Mozambican Christians being severely persecuted for many years at the hands of a Marxist government. On Sunday I preached in an all-black Dutch Reformed church on the outskirts of Maputo, with a handful of white missionaries present. The thirty-minute journey from the motel to the church, often over bumpy roads, enabled me to see the poor sections of Maputo. The church itself is a large structure built by some Dutch Reformed South Africans at their mission’s expense. A new pastor named Gabriel was installed a few weeks ago. Gabriel and his wife come from a rural ministry. They are sweet, humble, warm, and welcoming people; every indication I have and heard indicates that they will do very well in this church, God helping them. The church service was 2 ¼ hours long. The first 1 ¼ hours was largely singing: first, congregational singing, then about 100 children singing, followed by the older women singing, and then the younger women singing. The congregational singing consisted largely of the psalms; the songs sung by the three groups were not, but the words were edifying, though a bit repetitious for our Western standards. Typical of the Africans, the congregation sings with all their heart and with their bodies as well, which includes lots of clapping, constant moving of the feet, and swaying of the body. Some of the women also sing at certain points with a very high-pitched “warble” (I don’t know how to describe it) that is very unique and quite beautiful. I preached about how Christ plants and grows faith in the hearts of His own through the story of the Canaanitish woman. My translator, who was a young elder in the congregation with a humble disposition, had lived in Australia for a year or two, so knew English fairly well, but it was still quite a struggle. I realized early on that I had to really cut back on my sermon and make every sentence incredibly simple if my sermon was going to go forward. But he did the best he could, and thanked me for the honor and opportunity of translating my sermon. About 250 people were present—110 women, 100 children, and 40 men. The lack of many men is typical of African churches. This makes male office-bearing leadership a real problem in many churches; consequently, many churches have moved to women serving in all three offices. Happily, this church still has enough able men to serve, and hasn’t been tempted to move in the direction of female office-bearers. They seemed like a rather competent group of men, too—including three elders in their 30’s, one of whom did a very good job of leading the liturgy for the service. Then the consistory members gathered for prayer. The pastor addressed me for about five minutes, expressing heartfelt gratitude for the sermon. He said, “So many people in our culture and even in the church are prone to turn to witch doctors after praying to God doesn’t seem to help, so the example of the Canaanitish woman pressing on in waiting on Christ, has great spiritual benefit for our congregation.” Once again, I was struck at how God often uses His Word in cross-cultural situations in ways that the preacher never even thought about before he preached, or even in the act of preaching. How versatile the preached Word is under the guiding hand of the sermon’s internal minister, the Holy Spirit! 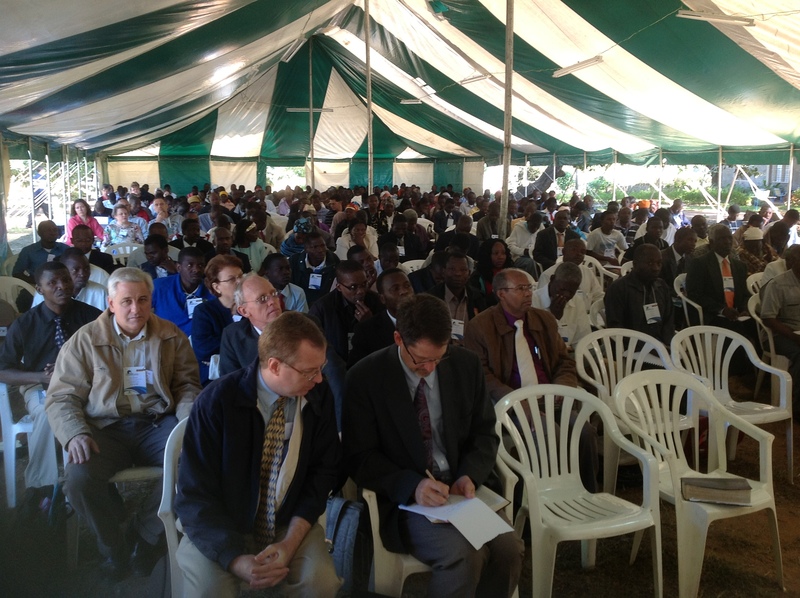 The Maputo conference went well—230 attended, of which most were pastors. Ronald Kalifungwa’s messages on texts from Timothy’s epistles were excellent and challenging. He spoke on being a man of God (2 Tim. 3:17), on exercising ourselves unto godliness (1 Tim. 4:17), and on doing the work of an evangelist (2 Tim. 4:5). 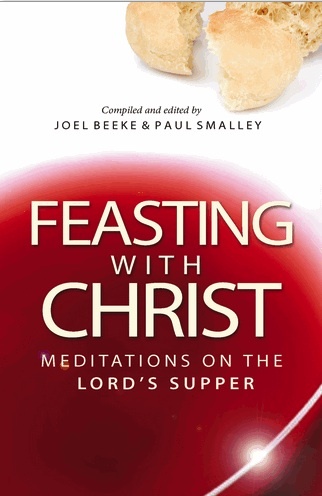 I also was privileged to have considerable fellowship with him—especially at mealtimes; he is truly a joy to be with. I’m hoping to bring him over to North America sometime in the future to speak at our Puritan Reformed Theological Seminary conference. I sat in on onlyp arts of Jaime Marcelino’s addresses because he spoke in Portuguese, so I could only grasp about ten per cent of what he was saying. I spoke on God’s solemn charge to preach the Word (2 Tim. 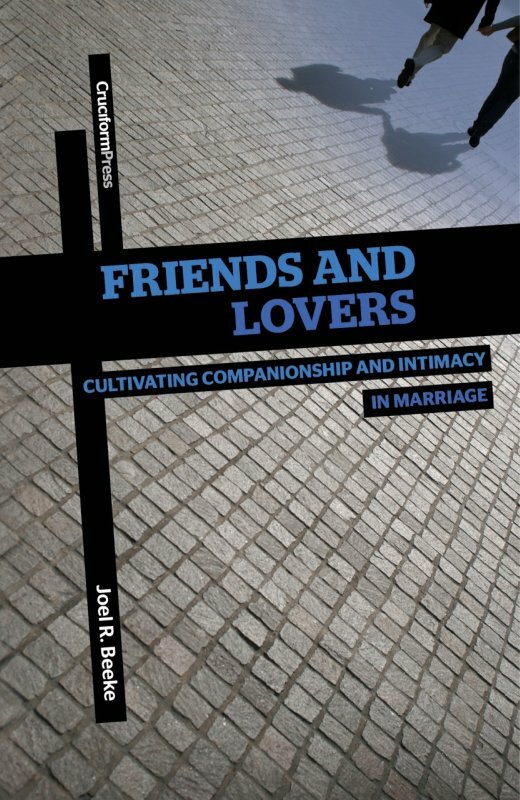 4:1–2), on teaching families how to do family worship (Joshua 24:15), and on reaching for holiness (1 Pet. 1:15–16). My translator, Anselmo Vilaneulo, having studied in the States for some time, knew his English well. At one point, I spoke about my being assaulted in Latvia. Later, a woman named Madelina approached me, saying that as a missionary working in Mozambique, she had had a very similar experience in which she was bound by two men who assaulted her. She too experienced a special time when the Spirit caused numerous divine promises to flood into her soul—especially 1 Peter 5:8–11—to carry her onward and forward. Our experiences were remarkably similar indeed, only with this difference—I felt deserted by God shortly after my experience was over, whereas she felt extremely close to God for more than a month, constantly humming and singing praises about God to the joy of her soul. FIEL sold a goodly number of books, including the new translation into Portuguese of my dear wife’s book on kindness, and my own newly translated Family Worship volume. Some of my other books in Portuguese that have been in print for a while didn’t sell as well. The FIEL staff was quite pleased with the conference over all—especially as a first time effort. Next year they hope to build on this momentum, and rent a larger place that can hold 400 or more. Karl Peterson was on hand in the Maputo, Mozambique airport when I finally arrived—without my luggage. No surprise there. Karl is a Westminster Seminary graduate who pastored a Presbyterian church in Philadelphia for four years, and then accepted a call to head up a Bible institute in Mozambique—a position he held for fifteen years. During those years, he also helped organize an annual ministers’ conference in Nampola (where I am to speak next week) and planted two churches. Recently, he moved to Cape Town, South Africa to teach and exercise leadership in a Bible institute there. You can feel almost immediately that he is an organized and competent brother who is gifted with leadership skills. The following morning I had breakfast with three Brazilians, including Rick Denham, who has an important visionary and leadership role in the Brazilian FIEL organization. FIEL is opening a conference in Maputo (which begins in a few hours) for the first time. Two hundred have pre-registered which is all they have room for in this hotel. They come from a great variety of backgrounds. Most are not Reformed. Rick asked me to speak very simply—also for the ministers who are present, as they lack much theological background and training. Please pray for this ground-breaking conference in Maputo—the first of its kind for this major urban center of Mozambique. Nine addresses are to be given in the next thirty hours. Each of the three speakers—Jaime Marcelino, Ronald Kalifungwa, and myself—will give three addresses. In God’s kind providence, I know both of these other brothers quite well. Jaime Marcelino is from the Amazon in Brazil, where he is a very effective pastor whose labors God is blessing (I hope to do a conference for him next year, D.V.). 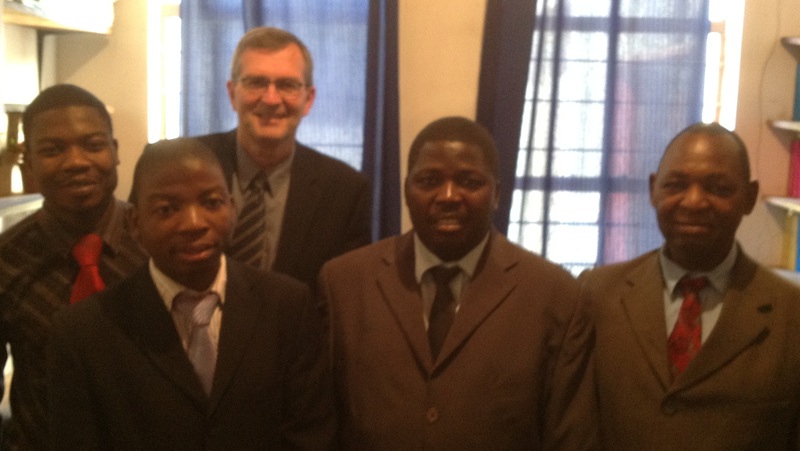 Ronald Kalifungwa is a powerful Zambian preacher, who speaks often at conferences throughout Africa and beyond. He is a dear brother whom I have known for years. We once shared each other’s conversion stories on an airplane in South Africa flying from one conference site to the next. He is also a long-distant student at PRTS.